Brian is responsible for overseeing event day operations for Driver’s Edge. He also supervises everything that happens behind the wheel at every Edge event around the country. 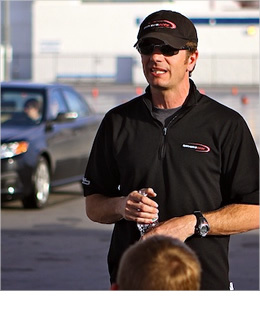 With over fifteen years of experience, Brian began his career as a professional driving instructor with the Skip Barber Driving School. Brian’s attention to detail and his years of experience overseeing national automotive manufacturer tours provide the foundation for his role with Driver’s Edge. He’s also plays a pretty mean guitar.